With so many weight loss options, it can be difficult to know where to begin. We might start by altering our diet, and exercise, but sometimes we need a little helping hand. What should we do? What should we take? And what should we eat? Rice, pasta, and bread are food staples. These complex carbs need to be broken down before being absorbed. But we can reduce our calorie intake by preventing this absorption. To do this we can supplement our diet with carb blockers. 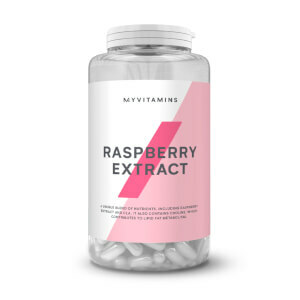 Here at myvitamins we made it simple. We’ve put together a special bundle of carb blockers designed to help you achieve your goals. The myvitamins Carb Blocker Bundle is the perfect supplement for a fat loss plan. With White Kidney Bean Extract and CLA it inhibits the breakdown of carbs to reduce calorie intake. Taken regularly, The Carb Blocker Bundle is the perfect way to supplement your fat loss plan. Take two CLA tablets a day and two tablets of White Kidney Bean Extract 20 minutes before a high starch meal. It’s important not to exceed the recommended daily dose of each vitamin. Store both in a cool dry place out of the reach of children. Not recommended for pregnant women.